Caring for the teeth and oral health of children requires special attention and experience. At North Boulder Dental Group, our team of dentists and dental hygienists provide both – including care for baby teeth. Kids dentistry (also known as pediatric dentistry) requires providing the highest level of care but with a gentle approach that ensures children feel relaxed and confident about each dental visit. From treating toddlers to teenagers, North Boulder Dental Group is experienced in offering comprehensive kids dentistry care in a comfortable environment. 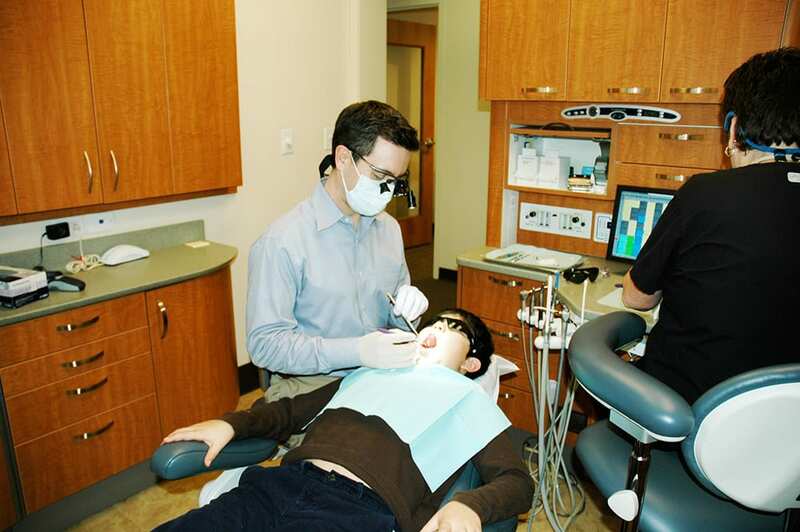 At North Boulder Dental Group our services offer everything needed for your child’s dental care. Preventative Oral Hygiene – We will work with you and your child to develop good oral hygiene habits including daily brushing and flossing, how to use fluoride, and nutritious eating and snacks for a healthy smile. Exams and Cleanings – Our friendly approach to dental visits allows us to develop a positive relationship between your child and the regular check ups needed. Whether we start with your child’s first visit to the dentist or you’re introducing your child to our practice after a recent family move, we understand the importance of building positive, trusting relationships with patients. Digital X-Rays – Our practice uses the latest digital X-ray technology that helps reduce the time and discomfort of older technologies and dramatically lowers the amount of radiation your child is exposed to versus traditional X-ray films. Digital X-rays are a great way to achieve the highest quality images to detect oral health problems. Fillings and Treatments – Early and regular visits to the dentist help avoid the need for fillings, crowns or restorative dental work. We offer fluoride treatments and sealants to keep many problems away. Sometimes, however, these fillings or other dental work are needed, and we’re here to help. Our dentists are experienced in working with children and teen dental needs that, in turn, will allow your child to smile and build self-confidence! Emergency Treatment – With the many outdoor activities and sports in and around Boulder, we understand that emergency dental treatments are sometimes necessary. Our dental team strives to respond quickly to help provide emergency care and offers many solutions to restore damage to teeth or help improve your child’s smile. If you’re looking for a kids dentist for your family, contact us! We are accepting patients, we’re conveniently located in Boulder, CO, and we offer a full team of experienced dentists ready to help your family with oral health needs!